Learn more about the journey of World of Warcraft developers to recreating the classic WoW experience in our panel coverage. Learn more about what’s in store for World of Warcraft: Battle for Azeroth in our panel coverage. 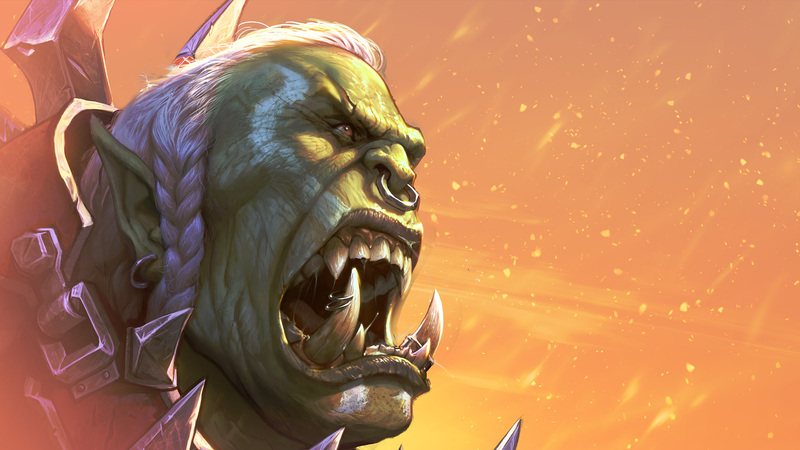 A prisoner within the heart of the Alliance seat of power, Varok Saurfang is confronted not only by King Anduin Wrynn, but the choices that lie before him. Introducing an adventurous new pet with an especially curious nature—Whomper the baby yeti! When you adopt him in-game or in his plushie form, you’ll be helping Code.org® boost its mission to expand computer science education around the world. Learn more. When Whomper wants to play, he'll let you know with a playful headbutt. Prepare to relive the adventure that laid the foundation for Azeroth’s most epic stories. Today at BlizzCon, Blizzard Entertainment announced Warcraft III: Reforged, a meticulous remake of the groundbreaking 2002 real-time strategy classic Warcraft III: Reign of Chaos and its expansion Warcraft III: The Frozen Throne. Learn more at PlayWarcraft3.com. Those eager to relive the history of Azeroth can pre-purchase the game today for $29.99 for the standard edition, and $39.99 for the Spoils of War Edition, which includes unique skins for four of the game’s hero units, as well as a host of in-game bonuses for a number of other Blizzard games, such as a gruesome Meat Wagon mount for World of Warcraft®, the Third War cardback for Hearthstone®, and more. Live from BlizzCon 2018 in Anaheim, California, the tournament continues with round one of the lower bracket immediately following the opening ceremony. Visit the BlizzCon schedule page for more information and don’t miss a moment of the action with the new esports mobile app. The MDI All-Stars will kick off Saturday, November 3 at 9:30 a.m. PDT with ExceL's Angels versus Free Marsy. This will be followed by Method NA versus Method PogChamp, which will lead into the finals. It’s a day of back-to-back dungeon-racing goodness! Check out the viewer’s guide to learn more. BlizzCon® 2018 takes place November 2–3. Join the celebration with the BlizzCon 2018 Virtual Ticket—available to order now through the Blizzard Shop! Discuss the demo in the forums.